A complete package worth every penny! I feel that Herb is the last of a dying breed when it comes to quality and customer service for the small business owner. 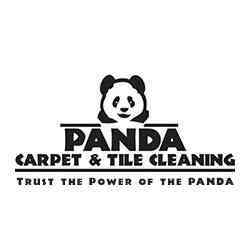 I had called for quotes and they were much higher that what i received from Panda but what made the appointment setting process easier is that i gave him my time frame and he was able to come out on a Saturday that way i didn't have to take a day off of work. Herb was polite, concise and got down to the point without trying to throw in a overworked sales pitch. His mantra of quality work at a fair price holds true. He did my 2700sqft house with tile and carpet in a solid 4 hrs. He pre-treated, agitated, and cleaned everyroom. Not just spots and didn't try to throw it in as an add on feature. The way it should be. He also cleaned the baseboards as he went which is just another relief that comes when looking to clean your house. We had a couple pet stains and Herb found a few more that i thought were gone but he didn't nickel and dime me for those. He added a more than fair up-charge which i was happy to pay considering the added worked it cost him. Herb also spent a good deal of time explaining his process and how to better handle future situations. Overall, the carpet came out exactly like new and there are no traces of any of the trouble areas I pointed out prior to service. The carpets are fluffy and no hint of residue left behind. You also get what you pay for but in this case, what you pay is seems less than the abundance of service and quality you receive. Will definitely use again.